A new study reveals a striking link between malnutrition, heavy alcohol use and tuberculosis (TB) in southern India. The findings, which appear in the journal PLOS ONE, are part of an international collaboration between Boston University School of Medicine (BUSM), the Jawaharlal Institute of Postgraduate Medical Education and Research (JIPMER) in India and Rutgers University. Researchers from these institutions are collaborating on a large cohort study of TB cases, the Regional Prospective Observational Research for Tuberculosis (RePORT). The study aims to identify markers in the blood that predict whether an individual will fail TB treatment and whether their household contacts will develop TB. This sub-analysis aimed to identify drivers of TB risk in this region. The study evaluated those recently diagnosed with TB in Puducherry and Tamil Nadu, India and compared the study data to population level data in the area. The researchers calculated that more than 61 percent of TB cases in women are attributable to malnutrition. The study also found that up to 75 percent of male TB cases could be eliminated if the impact of alcohol was reduced. 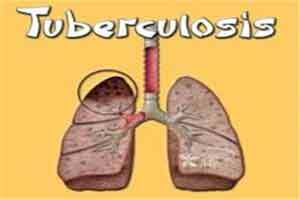 An estimated 10.6 million cases of TB occur annually in the world, and India accounts for 27 percent. This study comes on the heels of the World Health Organization’s strategy that encourages research into country-specific TB research plans. “We hope this demonstration of how malnutrition and alcoholism are driving the TB epidemic in India will help local TB programs target resources to reduce the local burden of TB,” explained corresponding author Natasha Hochberg, MD, MPH, assistant professor of medicine at BUSM and an infectious disease physician and co-director of the Travel Clinic at Boston Medical Center. She added, “The Indian government has recently released guidelines for the nutritional care of TB patients; we anticipate that our findings will bolster their efforts and renew the emphasis on addressing malnutrition to prevent TB.” The researchers also note a scarcity of alcohol treatment programs in the Puducherry and Tamil Nadu region and that heavy alcohol use has an impact on TB treatment outcomes.